ANKARA (Sputnik) – There are no contradictions over Turkey’s Olive Branch operation in Syria's Afrin between Ankara and Moscow, Turkish President Recep Tayyip Erdogan said on Sunday. "We have no disagreements with Russia over Afrin. In Idlib, a process of setting up the observation posts is underway. At the moment, we have already created eight such posts. A tripartite summit (Russia-Turkey-Iran), similar to the Sochi one, is planned to take place in Istanbul in the future. There, we will have an opportunity to assess and discuss all the issues," Erdogan said during the press conference, as quoted by the TRT broadcaster. Ankara purchases the Russia-made military equipment and arms to ensure its security despite the disagreements with NATO over the deliveries, the official added and noted that Greece has acquired Russian arms as well, but no sanctions over the decision followed. "We are not going to ask others how to ensure the security of our country," Erdogan said, while answering the question over Turkey’s acquisition of Russia’s S-400 Triumf air defense systems. The Turkish president again criticized the United States over the latter’s failure to fulfill its promises to withdraw the self-defense forces of the Syrian Kurds (YPG) from Manbij. 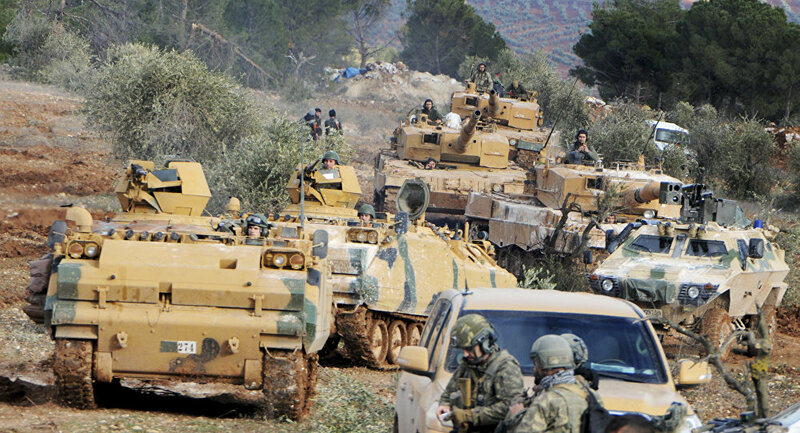 On January 20, Ankara launched operation Olive Branch in Afrin against Kurdish militia in order to "clear" Turkey's Syrian border of the terrorist threat. Turkey considers the Democratic Union Party (PYD), a Kurdish political party in northern Syria, and YPG to be linked to the Kurdistan Workers' Party (PKK), listed as a terrorist organization by Ankara. The Syrian government has strongly condemned the operation conducted by Turkey as an assault on the nation's sovereignty. Russia, in turn, has urged all parties to exercise restraint and called for respect of Syria's territorial integrity.